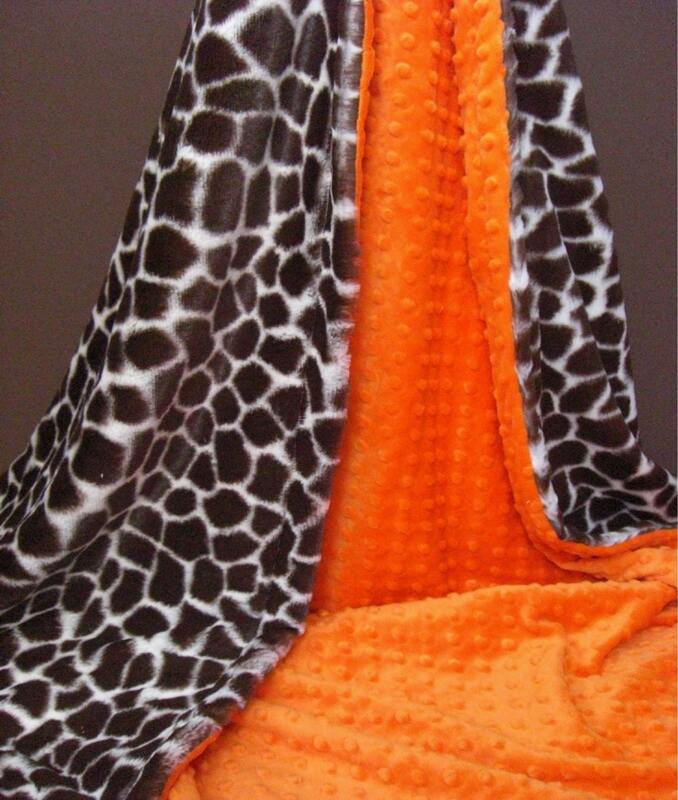 This is a fun blanket in orange minky dot and fluffy, plush giraffe. 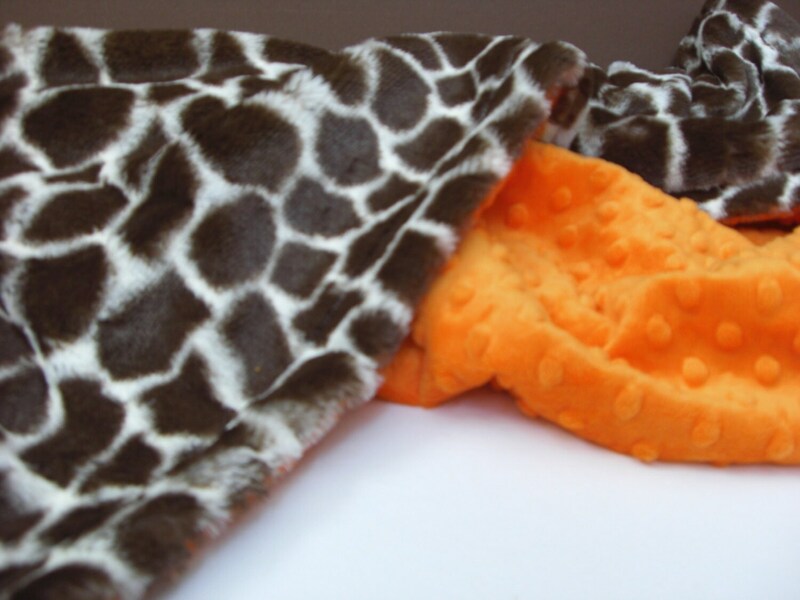 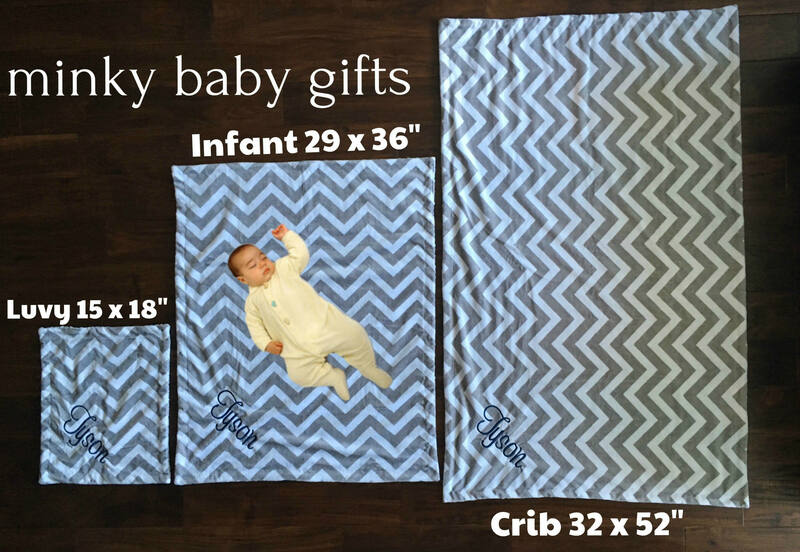 The giraffe fabric has almost one half inch of pile. 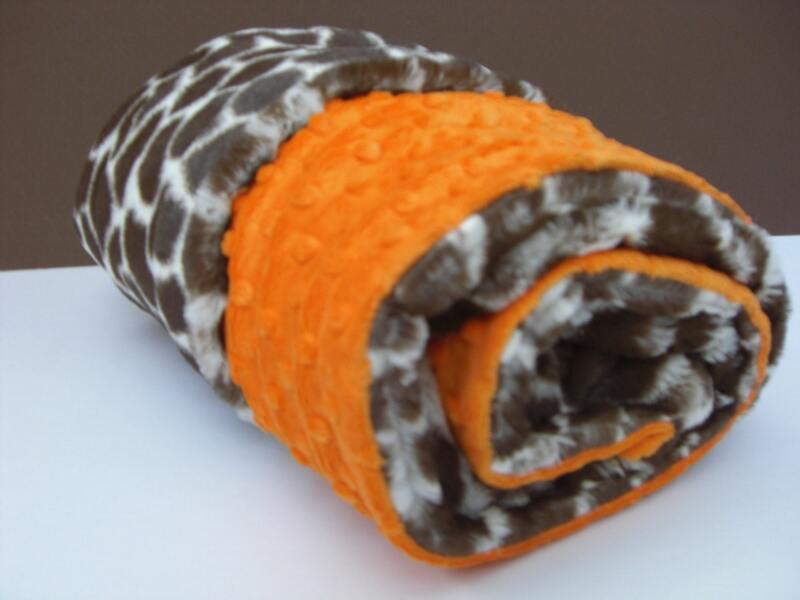 This beautiful blanket is made of two fluffy layers of Korean minky dot, the finest available. 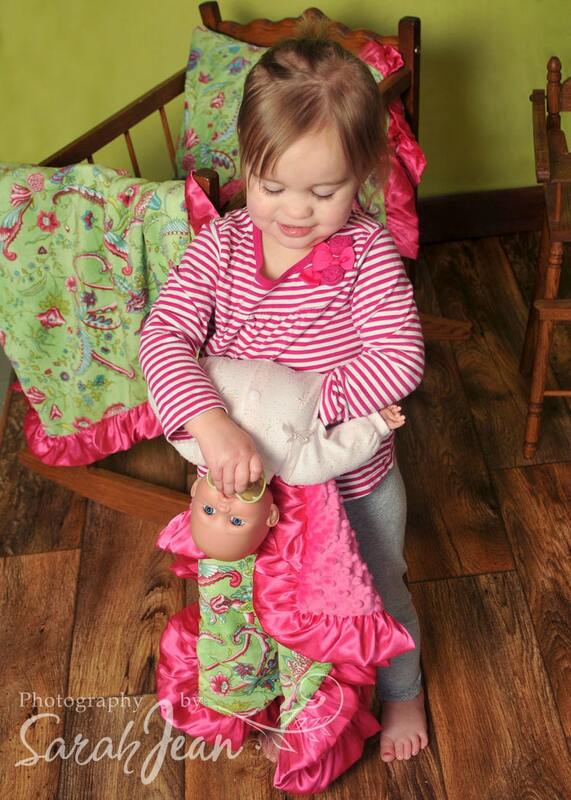 Machine Wash/Tumble Dry, polyester, choose your size from the drop down menu.